The third movie in the Cloverfield franchise was supposed to open last February… and then last October… and then in two weeks, and now it’s set to open April 20. But that date still seemed questionable in my mind – is this damn movie ever going to be released? 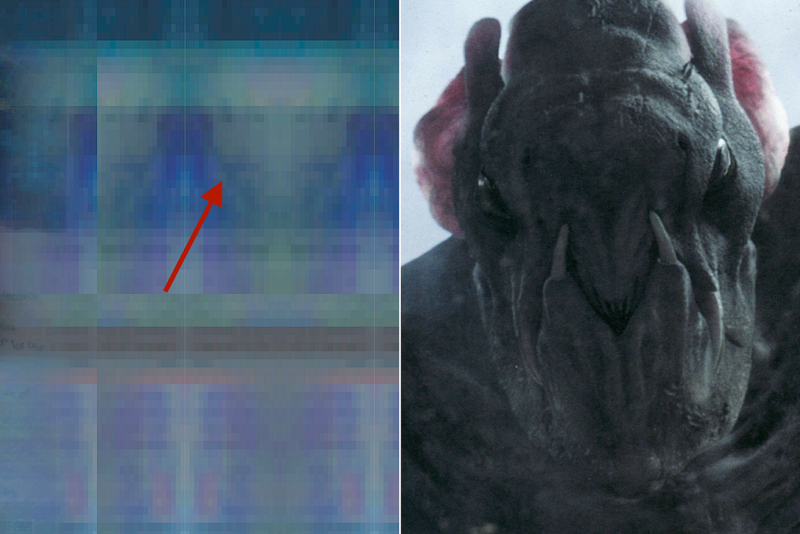 Today finally brought assurance that the third installment in the sci-fi monster universe is actually coming: the first viral clue has officially been dropped. We didn’t get a trailer or a poster, no no; this is Cloverfield folks, a franchise known for its surprise and mystery-laden marketing campaigns. Back in 2007 Bad Robot and Paramount launched the Alternate Reality Game (ARG) for the first movie, a series of websites full of fictionalized information, news coverage, and email exchanges that carried details of the Cloverfield movie’s backstory. They did it again in 2016 with 10 Cloverfield Lane, scattering a series of puzzles and clues across the web for devoted fans to piece together. 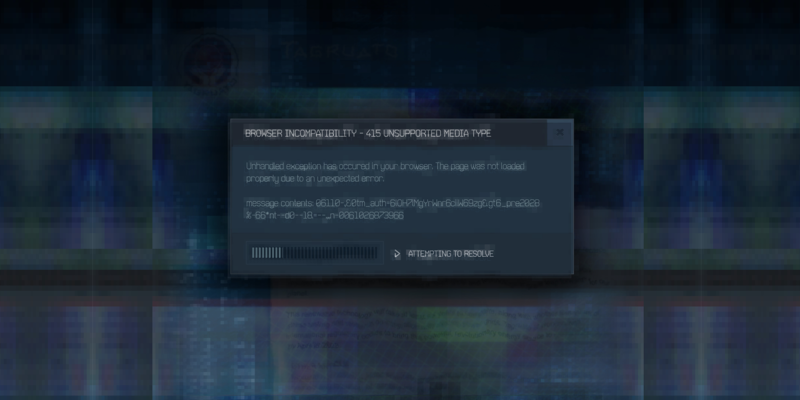 All of the Cloverfield ARG websites have been down for some time now (except one, which remained live until yesterday), but last night, on the 10th anniversary of the original movie, the ARG launched again. But I took a screenshot, then lightened up the image. With that, I was able to spot a handful of clues. First the Tagruato name and logo is on the top of the page. 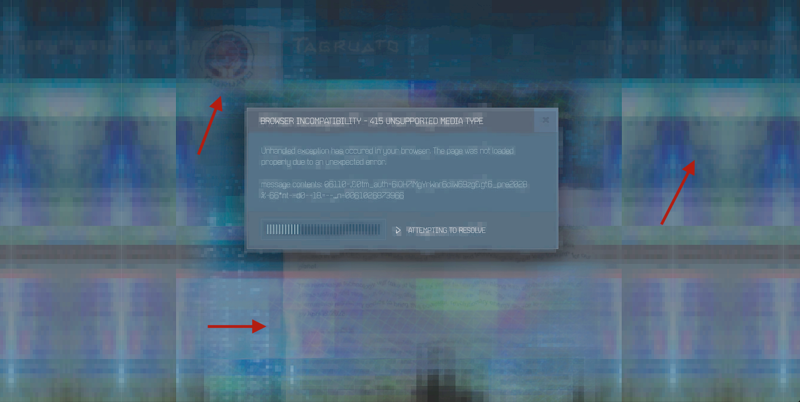 You can slightly make out the text below the error pop-up, and the weird greenish images along the sides of the page look like some type of alien or creature. Is it just me, or does it look an awful lot like the Cloverfield monster? TOKYO – January 18, 2018, Tagruato has begun development on a revolutionary new energy technology company scientists believe could not only compete with but possibly completely replace (?) experimentation with Tagruato’s most patented and proprietary technology the last year (?) resulted in what CEO Ganu Yoshida called a technological great leap forward for our planet. This renewable technology will take the next six years to complete along with another four years of stress testing and research on integration (?) power grids. 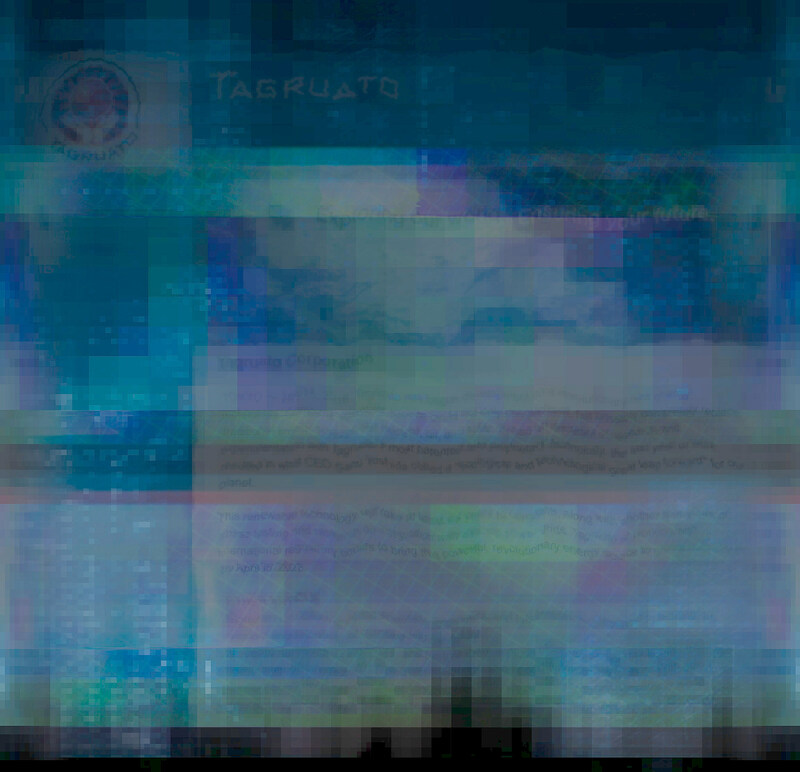 Tagruato is working with international regulatory bodies to bring this powerful revolutionary energy source to (?) by April (15, 16 or 18) 2028. OK, so what’s it all mean? Well my best guess is that this “revolutionary energy technology” is something being developed by Bold Futura. We learned in the 10 Cloverfield Lane ARG that Bold Futura, one the subsidiary companies owned by Tagruato, specializes in designing and manufacturing tech for the military and space exploration programs (bingo!). Bold Futura made the satellite that crashed into the ocean at the end of the 2008 movie, and was the company Howard (John Goodman) worked for in the second movie. This new energy source is likely a part of the space exploration mission in the third movie. Early leaks for God Particle – and although this is on the Wikipedia page, I’ll warn you with a spoiler alert – revealed that the plot revolved around a Higgs Boson “God” particle accelerator being tested by a group of American astronauts in space. When one character turns on the device, “Earth seemingly disappears,” the leaked plot reads. They’re then forced to find a way to survive at a space station when a threatening crew of European astronauts arrive. It’s worth noting though, the Onah film has reportedly undergone reshoots, so that leak may no longer be true, if it ever was in the first place. This is just the beginning; keep an eye out on the Tagruatu and related websites as we get closer to the third film’s release on April 20. My best bet is Paramount will surprise drop the trailer once again about two months before release. The only other films the studio has on the calendar before the Cloverfield project are Annihilation (February 23), Sherlock Gnomes (March 23), and A Quiet Place (April 6), so I bet we’ll see the first teaser in front of Annihilation, another sci-fi mind-bender.